Dr. DeJohn joined WRRA in July, 2011. He has a particular interest in acute stroke imaging. 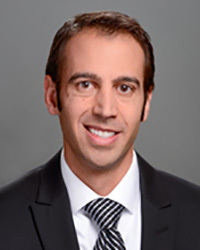 His expertise in acute stroke imaging and CT perfusion imaging was featured in a HealthBreak at the Reading Hospital and Medical Center in 2015. Dr. DeJohn serves on the interdisciplinary stroke committee at the Reading Hospital, which is focused on quality improvements in acute stroke care. He has lectured at the Reading Health Systems Stroke Quintessentials Conference in both 2014 and 2015. Further, Dr. DeJohn serves on the Innovations committee at the Reading Hospital.